Don't miss this! 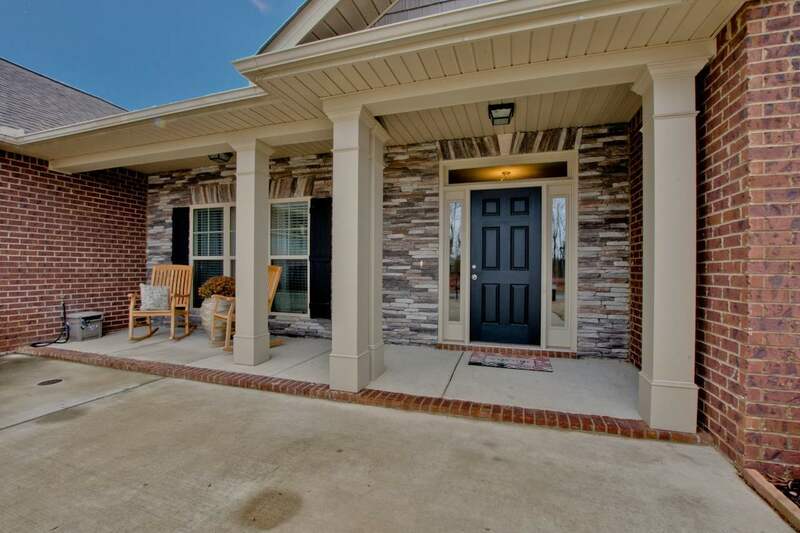 Perfectly maintained beauty w/open floor plan sitting comfortably on large treed lot. Enjoy your morning coffee on the large covered porch facing a beautiful pasture or relax in the spacious, isolated master with sitting area. This home boasts granite throughout w/comfort height vanities, dbl oven, soaring 10' ceilings, gas fireplace in fam rm and coffered ceiling in dining. But what will REALLY get you excited is the upstairs bonus with full bath, french doors & a flex room that is only limited by your imagination. Call now!